This summer, a once-in-a-lifetime astronomical wonder is set to grace the US. A total eclipse, where the sun is blocked out by the path of the moon, will stretch out across the entire American mainland. The first full solar eclipse since 1918, the line of totality will lead south and east across the country from Oregon to South Carolina, blanketing parts of 14 states in complete shadow for around two-and-a-half minutes on 21st August. If you’re planning a trip to see this stunning phenomenon there’s a packed calendar of events to mark the occasion. Taking in stargazing parties, observatory tours and some of the country’s finest natural scenery through Wyoming, South Dakota and Nebraska, we’ve brought you the best ways to celebrate the 2017 eclipse. 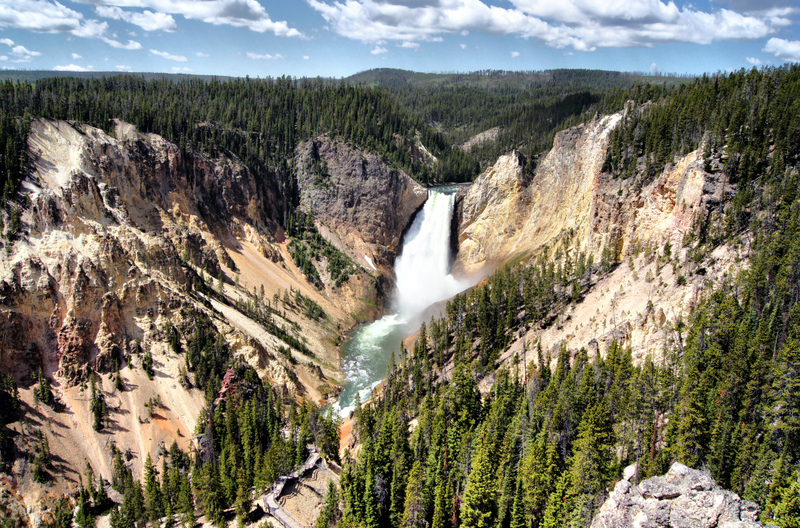 It may not be under the path of the full eclipse, but Yellowstone’s a great place to head if you’re looking to spend a weekend beneath the stars. Spread across three states, the park fully lives up to its billing as one of the picks of the US’s natural beauty spots, with opportunities for canoeing and kayaking, fishing and horseback riding thrown in. You should squeeze in a visit to Old Faithful too – the world-famous geyser gets its name from the reliability of its eruptions, which unfold every 60 to 90 minutes. As long as the weather’s clear, you’re in for a visual treat just about anywhere at Yellowstone – with three full hours of the moon’s passage across the sun starting at around 10.15am and two minutes of 95% peak coverage timed for around 11.35am. Yellowstone may not be getting a complete eclipse, but nearby Grand Teton National Park and the town of Jackson, Wyoming are set to land the whole nine yards. The state’s astronomical society is duly pulling out all the stops, with two nights of events set to play out in the Jackson Hole valley over the weekend. Check out the Snow King resort on Saturday and Sunday for presentations from astronomers and the chance to chat with astronaut Scott Altman, as well as expert demonstrations and a guided stargazing session. All this is bookended by the chance to take the chairlift up to the top of the resort and take in dramatic views of the night sky. The good people of Casper predict the moon will be throwing shade on them for a full two minutes and 26 seconds during the eclipse – a fine reason to throw a week-long festival in its honour. Located almost exactly on the centre of the path of totality – 280 miles from Jackson – Casper will be home to a fit-to-burst schedule of talks and workshops across its galleries and museums. Stop by the National Historic Trails Interpretive Center for talks on all things starry, while AstroCon 2017 will pitch up at the Parkway Plaza with an all-day feast of talks and workshops, plus the chance to grill eclipse experts. With its array of public parks and open spaces, just about anywhere you pick in town will be the perfect spot for an unforgettable eclipse experience. 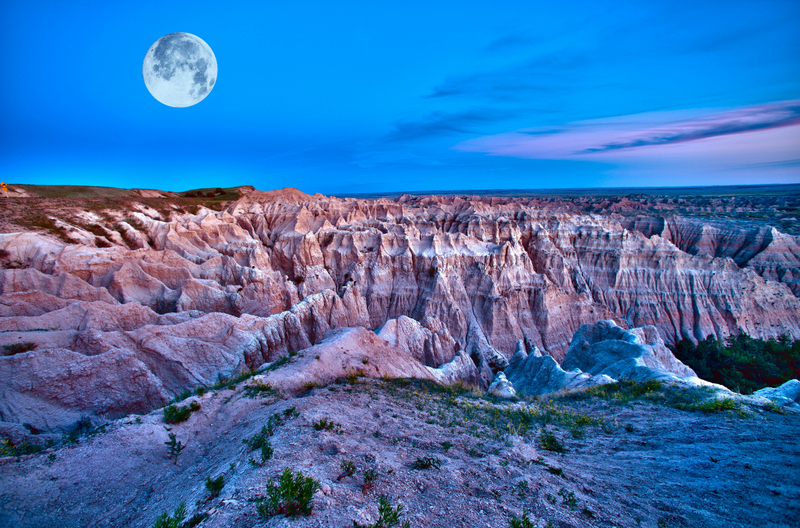 South Dakota is away from the path of totality, but if you’re making the most of your US trip with a cross-country drive then it’s well worth pitching up between eclipse hot spots at one of the States’ most iconic man-made monuments. Located within the beautiful surroundings of the Black Hills National Forest, the heads of Washington, Jefferson, Roosevelt and Lincoln are immortalised in granite, a tribute to the nation’s best-loved presidents and founding fathers. Originally meant to serve as a head-to-waist portrait of its subjects, Mount Rushmore was completed in late 1941 after further funding fell through. But that won’t stop you marvelling at the work of dedicated craftsmen in celebrating some of history’s most vaunted figures. The Badlands and Black Hills are just nearby Mount Rushmore, offering outdoor escapes along with a special treat for space fans. The Cedar Pass Campground Amphitheater offers regular Night Sky viewing programmes at weekends, where rangers break out the telescopes and give visitors the chance to look to the heavens. With light pollution firmly out of the equation, here in the Badlands it’s possible to spot the swirls of the Milky Way. With entire star clusters and nebulae visible from the park, take the chance to see our skies in an entirely new light within the intimate surroundings of the amphitheatre. Some say the awe-inspiring Stonehenge was built by druids in tribute to the almighty Sun; it lines up perfectly with the entrance on the Summer Solstice. 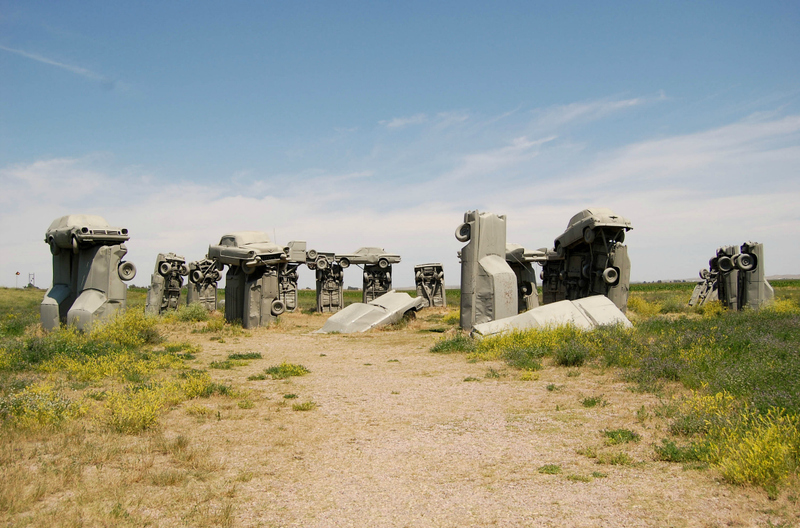 Whatever its intentions, a neat parallel presents itself just three miles north of Alliance, Nebraska, in the form of the mysterious Carhenge. Here you’ll find a circle of cars in a similar formation to the foreboding stones at Salisbury, some standing on their rear ends with others laid across. A coating of grey paint has been added to make the cars even more stone-like. Eccentric art project or mysterious ode to consumerism? Whatever your take, this unique construction is well worth a look. As luck would have it, Carhenge is one of the prime viewing spots for the 2017 eclipse; with the skies set to go dark for a full two-and-a-half minutes at 11.49am local time. If you’re planning to visit, make sure to arrive early to nab a vantage point at perhaps the country’s quirkiest viewing spot. It may last less than three minutes but the fun doesn’t have to start and end with the eclipse – as awe-inspiring as it may be. With events, exhibitions and experts converging underneath the path of totality this August, you can make a trip to remember last much longer. Just remember never to look at the sun without appropriate safe eyewear.